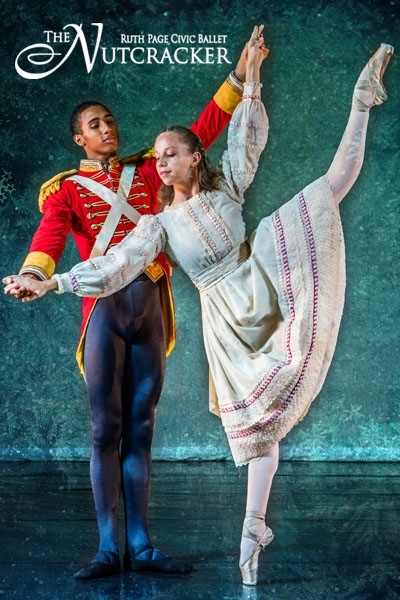 Ruth Page Civic Ballet's "The Nutcracker"
The Ruth Page Civic Ballet’s popular recreation of this holiday classic is back to perform at NEIU for four performances ONLY. Originally presented in the Arie Crown Theatre from 1965 until 1997, this production recreates Ruth Page’s iconic and beloved original full-length staging. Featuring international guest artists from Cuba's Acosta Danza and the prestigious Ballet Nacional de Cuba, alongside the Ruth Page Civic Ballet's elite company, experience the exquisite dancing, stunning costumes and magical settings in the Land of Snow and the Kingdom of the Sweets like never before! Order your tickets early as past performances have sold out each year! The Ruth Page Civic Ballet is proud to be an Artist In-Residence of the Ruth Page Center for the Arts. The 2018 Season is presented in part by the Ruth Page Center for the Arts, the Illinois Arts Council – a state agency, Northeastern Illinois University, and the NIB Foundation. Special thanks to Copa Airlines, the Ruth Page Center's Official International Airline Partner to Latin America. To contact the NEIU Box Office, please call 773-442-INFO (4636). For any additional information, please call the Ruth Page Center for the Arts at 312-337-6543 or email us at info@ruthpage.org.